Beirut: ‘The Hezbollah military units may not be stronger than the Gulf countries. But as compared to the Israeli army the Hezbollah is definitely stronger. 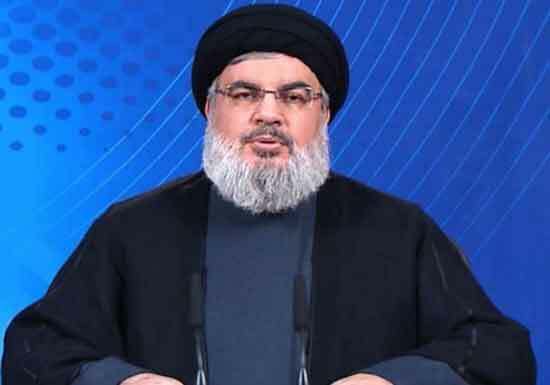 The Hezbollah strength has increased manifold as compared to the past and the Hezbollah military is prepared to face any war,’ announced Hezbollah chief Hassan Nasrallah. 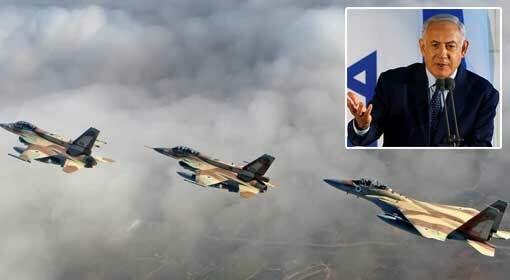 He issued this warning on completion of 12 years of the 34-day conflict between Israel and Hezbollah. The warning issued by Hezbollah, the pro-Iranian terrorist organisation now in power in Lebanon, is being taken seriously. In 2006, Israel had entered a conflict with Hezbollah after the Hezbollah abducted an Israeli soldier and took him to Lebanon. The Israeli military had to retreat after a conflict that lasted for more than a month. 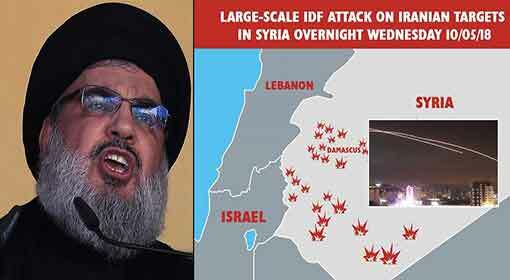 Hezbollah chief Hassan Nasrallah reminded Israel about this conflict in a video released from a secret secured bunker. ‘No one should try to scare us and threaten us with war. We will not be cower down by these threats. Hezbollah is ready for a war and will certainly emerge a winner,’ declared Nasrallah. 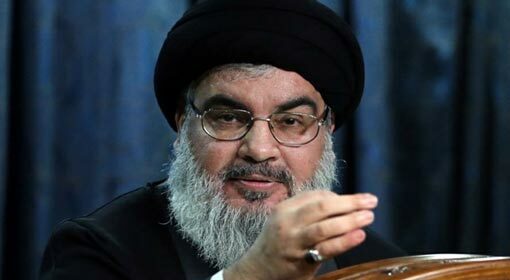 At the same time, claiming that the Hezbollah military was stronger than Israel, Nasrallah said that the Hezbollah military was superior to the Israeli military in arms, numbers, skills and capabilities. Nasrallah also said that the soldiers in the Hezbollah military were willing to sacrifice their lives for the conflict with Israel. Following this, the Hezbollah chief criticised the United States sanctions against Iran. 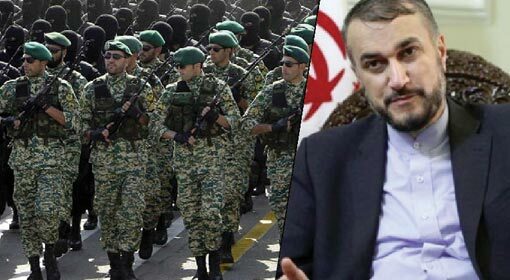 Hezbollah alleged that the United States was trying to create anarchy and was fuelling the riots in Iran with these sanctions. Nasrallah said that these efforts by the US would never succeed. ‘Since the 1979 Islamic revolution, Iran became a target for sanctions by the western countries. US President Trump has made the sanctions harsher. But that will have no effect. Despite the sanctions the Iranian government will go on to celebrate 40 years of Islamic revolution,’ said Nasrallah. Since the last few weeks the Iranian people have started protesting against the Khamenei-Rouhani government. The Iranian public and the trading community are expressing their frustration about the Khamenei-Rouhani government,over the economy heading towards bankruptcy, the drastic fall in Iranian Rial and the drying up of foreign investment. 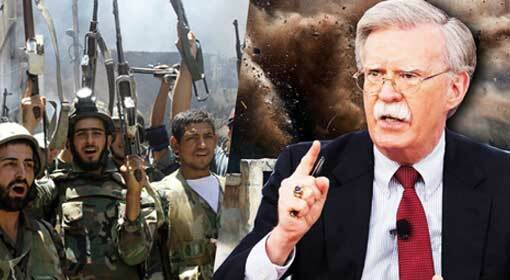 Western analysts have stated claiming that the Iranian government will collapse under the burden of the US sanctions. But Hezbollah chief Nasrallah has claimed that the US sanctions will not affect Iran in any way. The European analysts have advised to ignore Nasrallah’s threat as the Hezbollah’s strength has been reduced in the Syrian conflict. 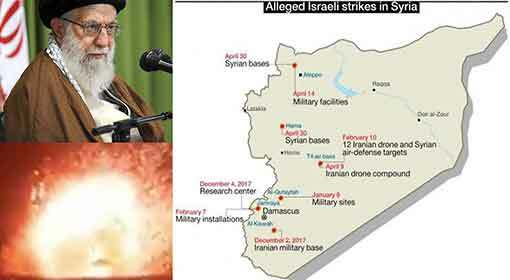 But Israel has said that Iran has heavily armed Hezbollah under the disguise of the Syrian conflict. 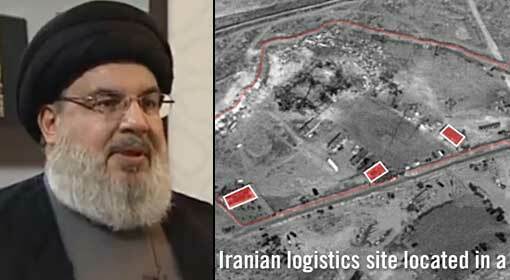 It has been exposed in the past that Iran has built a missile manufacturing facility in south Lebanon. At the same time, the Lebanese military officials too have started openly supporting Hezbollah. Meanwhile, since the last few days the tension on the Israel-Lebanon border has increased. There are reports that Israeli soldiers have taken an action against the Lebanese soldiers accusing them of dangerous movements in the border areas. A few days ago, the Israel military had held war exercises near the Lebanon – Syria border. The Hezbollah chief’s threat seems to be in that context.